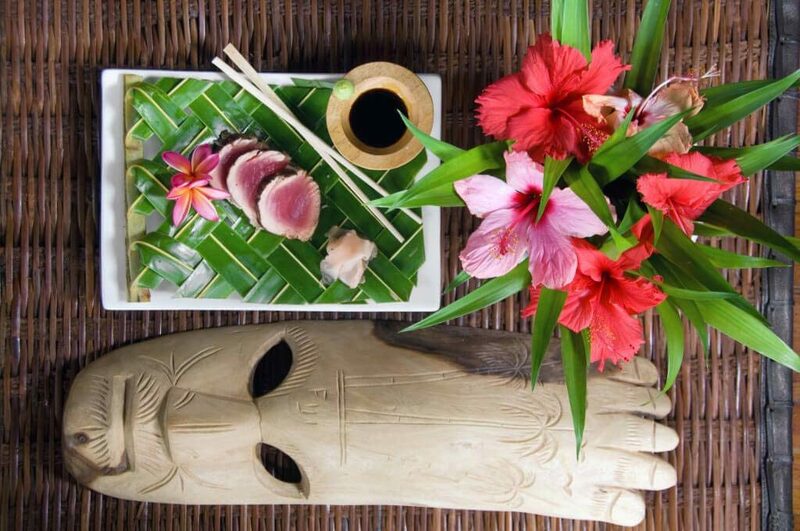 Fresh Fiji Gourmet Cuisine!! 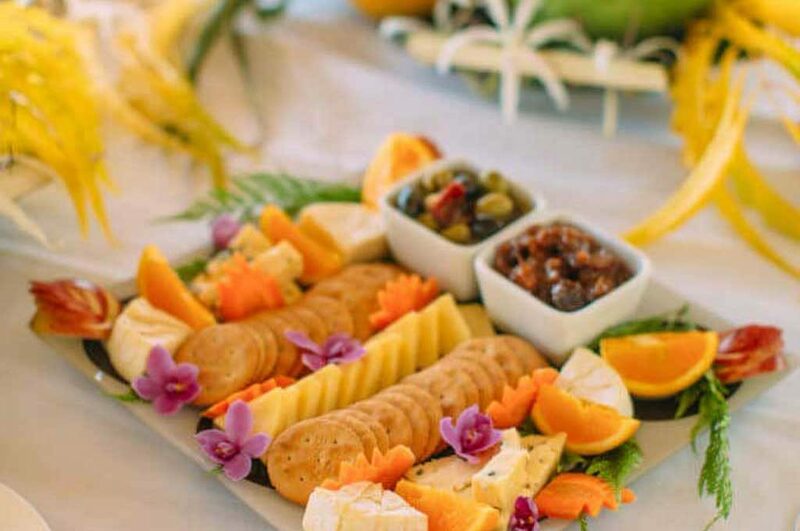 Enjoy fresh cuisine, local specialties, superb wines and great service on your Fiji holiday at Qamea Resort & Spa. The resort epitomizes Fiji islands resort style dining at its best. Settle in for a leisurely breakfast, a delicious lunch or feel the gentle sea breeze as you dine on the beachfront. You will love the relaxed ambiance and elegant ease of dining at Qamea Resort & Spa, Fiji. At Qamea, guests can look forward to cuisine that rivals top restaurants anywhere in the world. 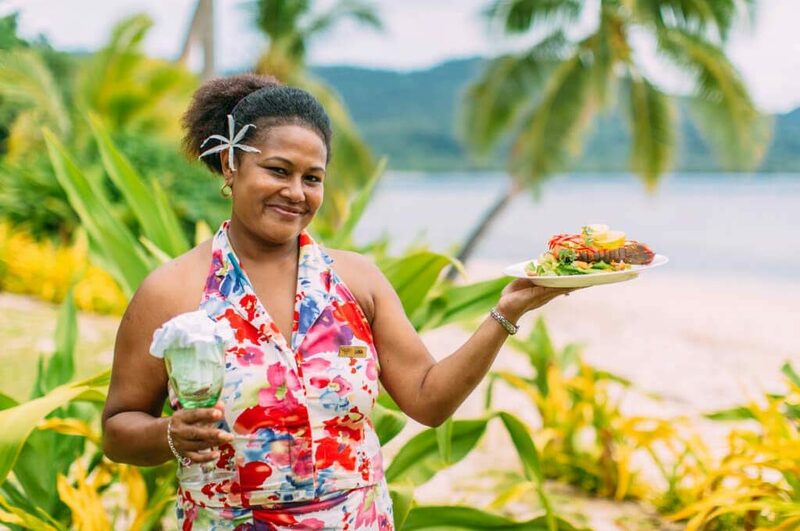 Our skilled team of five chefs pride themselves in using both the finest local and international ingredients to create an irresistible fusion of Fijian Pacific Rim cuisine. 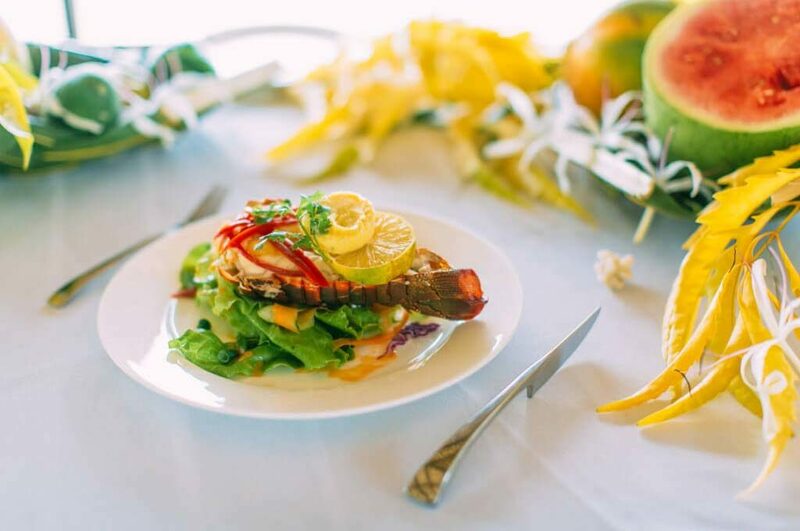 Our menus are designed daily using fresh, seasonal ingredients that complements our tropical Fijian climate. Our fully trained team of chefs use local seafood that is freshly caught in the ocean surrounding Qamea. Most vegetables and fruit that we serve are organic and are also sourced from local gardens. Catering to vegans, vegetarians, health retreats and food allergies. Also offering a full bar service, an extensive selection of Australian, New Zealand and other international wines. We pride ourselves on delicious food and wine and warm, friendly service. Our chefs are only too happy to accommodate requests to ensure a memorable dining experience. Please let us know of any specific dietary requirements at time of booking. Your nightly rates at our beautiful island paradise are inclusive of Continental Breakfast Only (plus a plethora of activities and experiences). 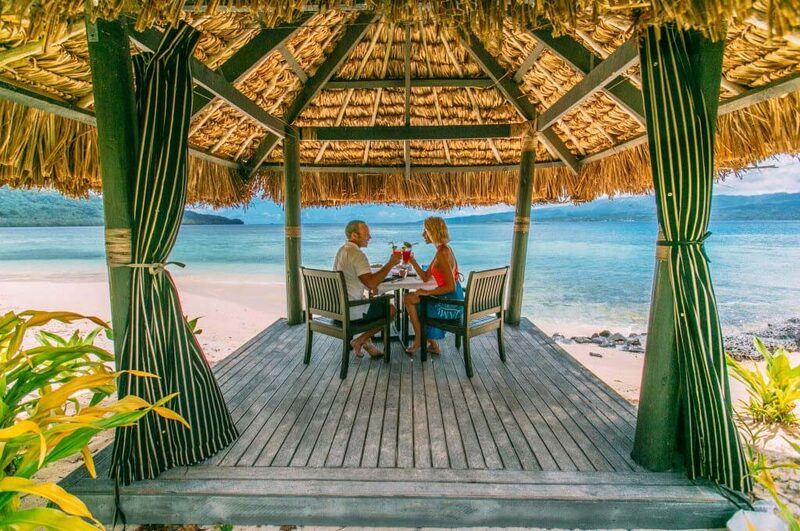 To upgrade your stay to All Meals Inclusive at the rate of FIJI$274 per person per night, you will need to select this at the time of check out when making your BOOKING. At the centre of Qamea Resort and Spa is the Bure Kalau, which serves as the central meeting place for guests. Here you will be served gourmet meals as well as complimentary afternoon tea with freshly baked pastries. The large covered patio that circles the dining room and bar is a great place to relax and recharge. Join your fellow guests for a sunset cocktail before dinner. Dining is relaxed with no dress code required. 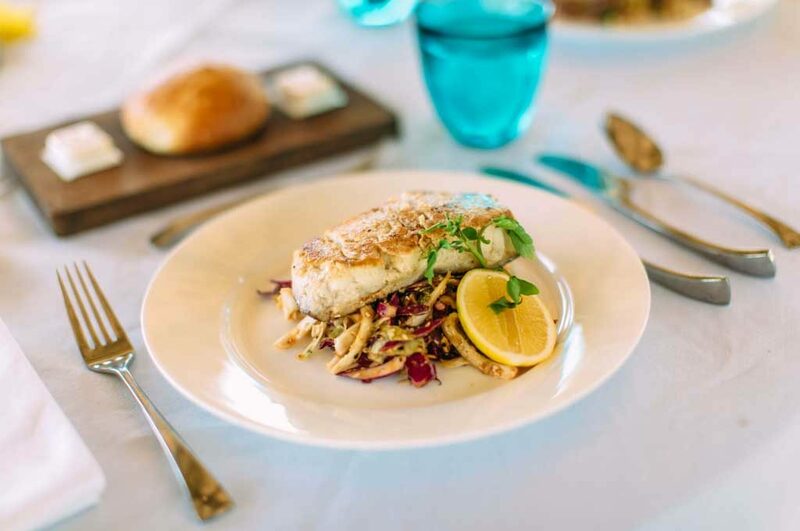 Treat your taste buds to the unique tropical flavours of the Fiji Islands with our daily changing menus. We can offer private dining at Qamea Resort & Spa in our private dining gazebo or we can set up a table directly on the beach. Enjoy a private and exceptional dining experience looking out to the Pacific Ocean. 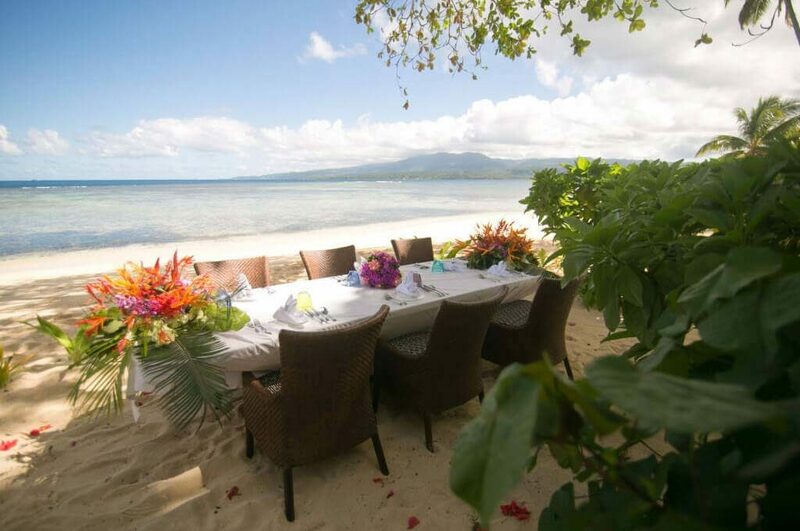 A private lunch or dinner at Qamea is an exquisite and intimate dining experience. 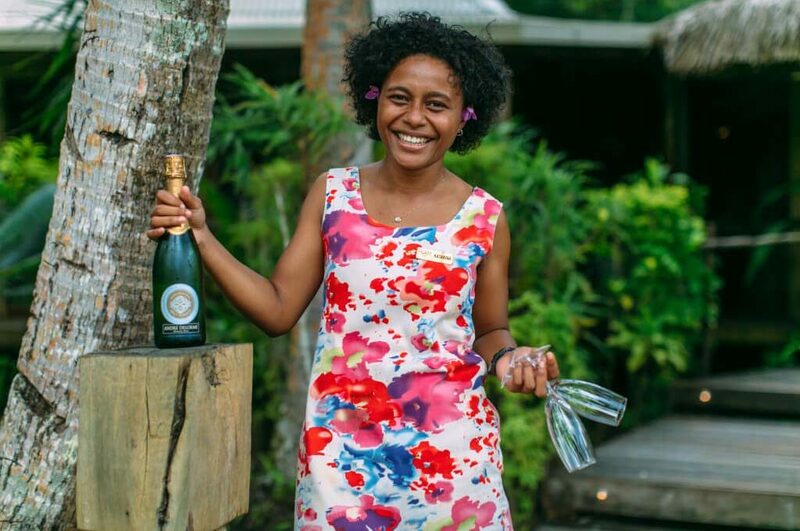 If the beauty of your bure and the tranquil setting of your private deck are too good to leave, you can still enjoy the dining experience of Qamea Resort & Spa. Meals are delivered course by course allowing for a truly personalised in-room experience.